Who hasn’t heard about Benidorm, the Mediterranian sea coast city based in the province of Alicante? If you haven’t then you definitely should get to know it and even choose as a holiday destination for this or upcoming year! Benidorm is the Costa Blanca city based in the Valencian community and it is said to be the 6th largest city in the province of Alicante. It is considered to be one of the most popular holiday destinations for tourists and locals. The popularity of Benidorm was and is growing very fast. A little bit more than 50 years ago Benidorm was just a small fishing village and had around 30 000 inhabitants. 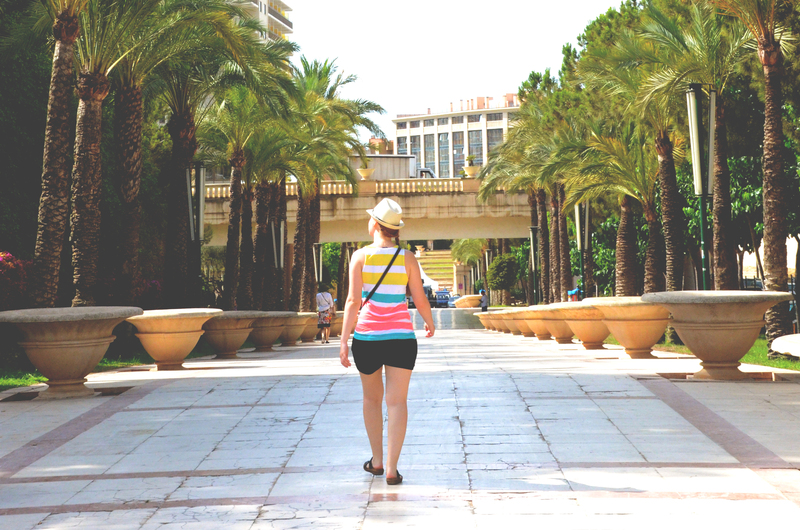 Now, apart of around 75 000 officially registered residence Benidorm also receives over 4 million visitors every year. In fact, Benidorm is the third most popular tourists destination in Spain. Those numbers for sure are standing out! Facts and figures are brilliant, however, let’s look at the reasons why you should choose Benidorm over all other destinations available for you. Tourists from UK, Ireland, Germany, Belgium, Netherlands and many more countries already fell in love with this small part of the world. Be the next! Benidorm as a city has very interesting structure and definitely won’t leave anyone without his/her favorite area. The Costa Blanca town is divided into two parts: old Benidorm and new Benidorm. The new Benidorm is the part of the city which was newly constructed and which offers wide very modern and luxurious hotel industry. This area is full of high-rise breath taking buildings! There are so many in comparison to other areas that Benidorm became a winner among the world’s cities when it comes to the number of the high-rise buildings per capita. If you are not a fan of luxurious tall buildings, crowds of tourists from all over the world, then the old part of Benidorm would be your space! Here you will find your self around locals, and visitors coming from Spain. Thus, you will definitely get a feeling of Spanish culture and traditions. Old town doesn’t have that many new hotels to offer but the ones which are there definitely have their own charm. Benidorm is well known for its cost. Did you know that Benidorm is considered to have the best urban beaches in Europe? Benidorm is considered to have 5 beautiful beaches which will definitely satisfy everyone’s expectations. Benidorm has two main beaches Playa de Poniente and Playa de Levante. Both beaches offer complete services and the sun until 8 pm or even later. Between Playa de Poniente and Playa de Levante, there is small beach called Cala de Mal Pas which is actually our favorite one due to the views and the rocks. At the very north of the Benidorm, you will find two more small beaches Cala del Tio Ximo and Cala Almadrava which are perfect for those who don’t like crowded beaches or those who like diving. Benidorm is very well known places for its night life. Clubs, restaurants, live music, concerts are definitely part of everyone’s holidays. Benidorm is called second Ibiza for the reason. It is full of English and Irish bars, pubs, nightclubs. Some more popular are Jokers, Lennons, Cafe Benidorm, The Bahamas and much more. Very often you will be entertained by comedians, dancers, live bands. Prices of the alcohol are super low in comparison to other resorts. As a result, those who love party hard will not be left with empty pockets after one night. In addition to this, Benidorm offers different festivals. In July you have an opportunity to attend Benidorm Summer Festival, and Low Festival. September is also a special month. It is dedicated to Benidorm Pride festival which one of the biggest community gay event of the year. Moreover, Benidorm has many different concerts throughout the year. Plaza de Torros, Auditorio Julio Iglesias, and Benidorm Palace are the main performance areas where you can have a chance to attend concerts of national and international stars. Melendi, Juan Magan, Luis Fonsi, India Martinez, David Guetta, Malu are just a few names who have held performances at Benidorm. If you are all for having fun, or you are coming with kids and want to keep them entertained during the day, Benidorm is a perfect destination. Benidorm has a variety of theme parks and water sports to offer. Aqualandia and Aqua Natura Benidorm are two water parks which are just a few kilometers away from the city center. Benidorm is also offering you a possibility to water ski, scuba-dive, go sailing or Kayaking, Paddle surf or even Windsurf. If you are not a fan of the water sports or aqua parks, you have an option to visit ZOO park, Mundomar or Terra Natura or experience the longest wooden roller coaster ride in Europe by entering to Terra Mitica amusement park. We can talk about beauty and treasures of Benidorm none stop. However, the only way to prove that is to pack your suitcases and experience it yourself! So don’t wait! Book your holidays! You still are on-time! Next Feria of Malaga – Get Ready for Fun!